Sharon Beck entered my office three months ago with appre­hen­sion. She self admit­ted­ly didn’t know much about social media mar­ket­ing. Her only expe­ri­ence was the occa­sion­al post on her per­son­al face­book page. She nev­er used Insta­gram, Pin­ter­est or Twit­ter and frankly the idea of it made her ner­vous. 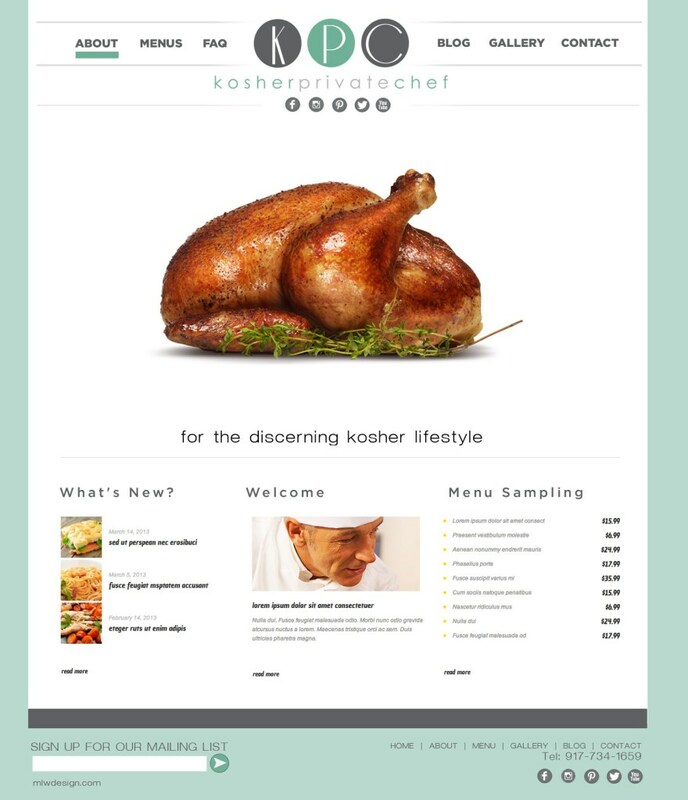 What she did have was a great domain name (kosherprivatechef.com) and a great idea-to offer high end kosher pri­vate chef ser­vices nation­wide. Sharon had an amaz­ing idea, she just need­ed help get­ting it out there. Accord­ing to Sharon, her busi­ness is pri­mar­i­ly a word of mouth busi­ness. A sat­is­fied cus­tomer tells her friend and that friend con­tacts Sharon. After many years of grow­ing through refer­rals, Sharon was ready to grow nation­wide. With all her con­nec­tions through­out the coun­try built through the 20 years of expe­ri­ence in the food indus­try her and her chef hus­band (Jay Beck) share, she knew she could do it. We start­ed with a logo….all things start there. She want­ed mod­ern, high end, clean just like the ser­vices she plans on offer­ing. We came up with a few choic­es and she chose this one. Next we worked on the web­site. We kept it clean and visu­al because that is how food should be por­trayed. We made sure to add all her new social media icons and her new mail­ing list sign up. In the past Sharon emailed her clients from her pri­vate email the lat­est menu for the hol­i­days. We set her up with madmimi.com, an email mar­ket­ing ser­vice that is far more attrac­tive and pro­fes­sion­al and keeps track of how many actu­al­ly opened her email. I taught Sharon the basics of Facebook/Instagram mar­ket­ing and we launched her new page with an amaz­ing give­away that we knew would get trac­tion. As pre­dict­ed it brought her sev­er­al hun­dred fans and a lot of atten­tion. 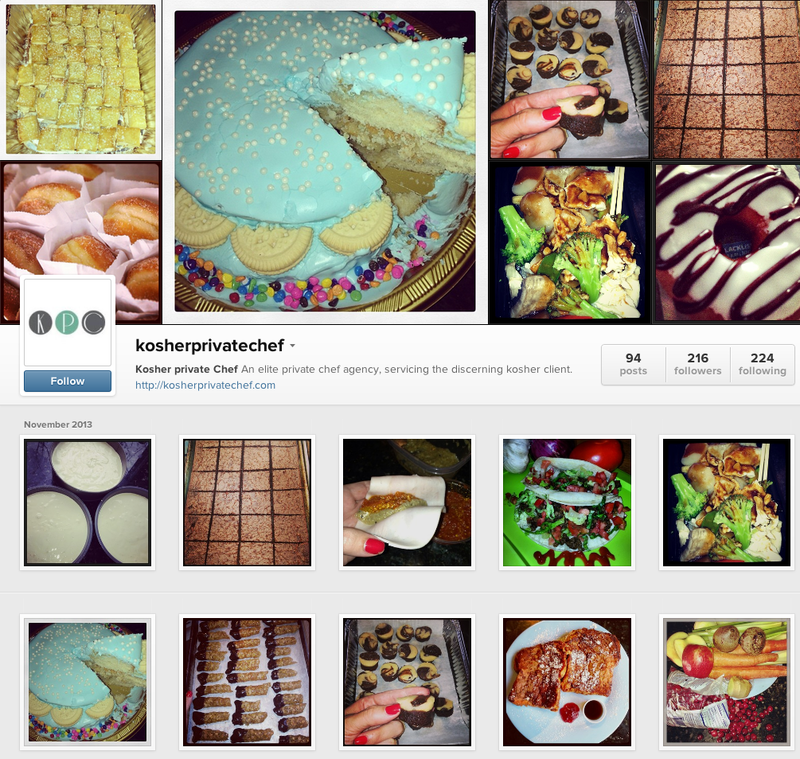 We con­nect­ed her Insta­gram to face­book so that she could post once and share on face­book. This serves to kill two social birds with one stone. In addi­tion we con­nect­ed face­book to twit­ter so that her twit­ter was being updat­ed with­out any effort. Three social birds with one stone. Once Sharon got com­fort­able with Insta­gram and Face­book, deli­cious and inter­est­ing images were being post­ed by her dai­ly. Nat­u­ral­ly she got great feed­back which only embold­ened her fur­ther. I promised her a few months back that if things go well, she will become obsessed with post­ing and shar­ing and Sharon found that to be true. It is a very sat­is­fy­ing feel­ing to share your thoughts and work and have peo­ple take notice. Although Sharon under­stood that grow­ing your fans is a dai­ly job that requires con­stant cre­ativ­i­ty and effort, the feed­back and inter­est after every pic­ture she post­ed was encour­ag­ing. Today, only three short months after mak­ing the deci­sion to makeover her logo/website and uti­lize social media, Sharon Beck’s busi­ness is boom­ing. She is get­ting calls from all over the coun­try from Cal­i­for­nia to Mia­mi and every­where in between. She is being approached dai­ly by chef’s from all over the coun­try who are inter­est­ed in being part of her team. Social Media has changed her busi­ness from being refer­ral based to reach­ing an end­less mar­ket of clients. 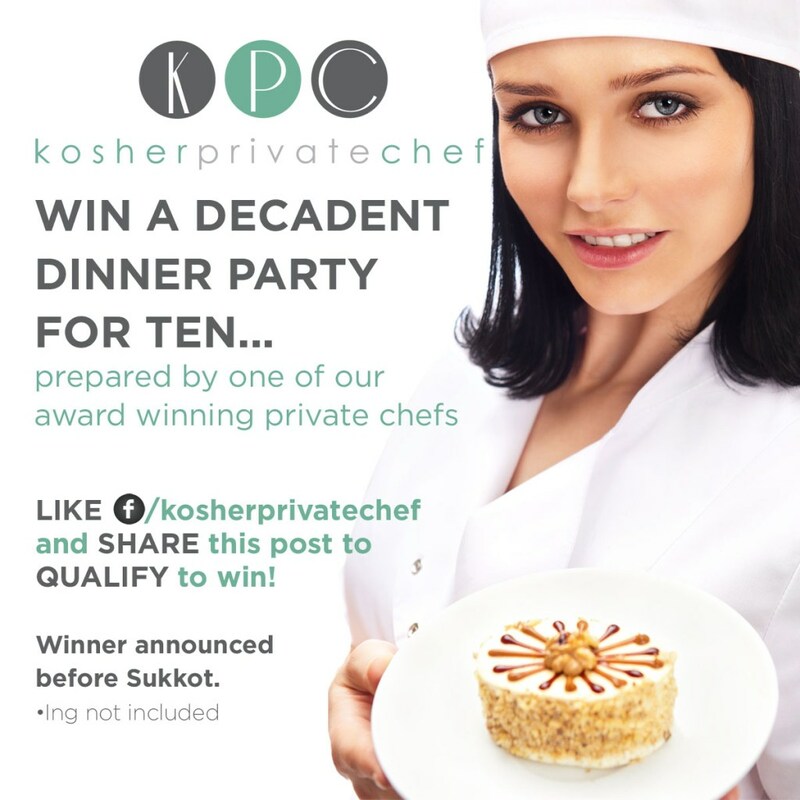 Her attrac­tive pro­fes­sion­al site that comes up when peo­ple google Kosher Pri­vate Chef only adds to her cred­i­bil­i­ty and her attrac­tive posts on Face­book and Insta­gram of all her lat­est dish­es entices peo­ple to inquire. Her next step is to con­tin­ue build­ing her brand with cre­ative posts, infor­ma­tive blogs and con­tin­u­ous mar­ket­ing. We wish her and her team all the suc­cess in the world! We know with her pas­sion and culi­nary tal­ents, there is nowhere to go but up.